This follows Ipswich Townâ€™s run of success after its unbeaten start to the season. 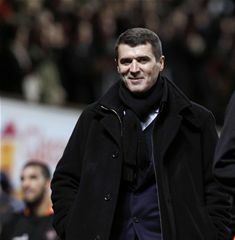 Keane will be up against QPRâ€™s Neil Warnock, Cardiffâ€™s Dave Jones and Millwall manager Kenny Jackett who are also in the running for the accolade. The winner for the August prize will be announced this Thursday, 9 September. Ipswich Town has had an impressive run lately taking 10 points out of 12 out of four league games. They won against Middlesbrough on the opening day of the campaign and also held Crystal Palace to a convincing win. Next up for Ipswich Town is a clash with Portsmouth at Fratton Park on Saturday next, 11 September.